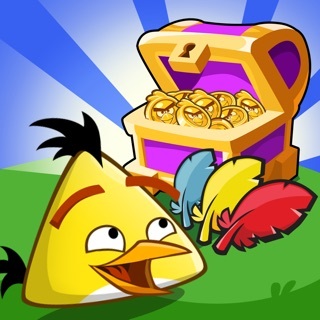 Addictive but lose bird coins and can’t seem to get help with getting them back. I had results from tournament, and the for my free spin, I had 2 Earthquake, which I received. 2nd one I had 100 free coins, which I didn’t receive. I have had issues with this game before, and only one time did I really get help. 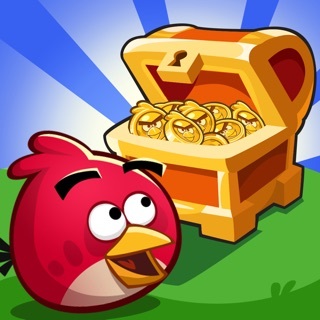 I don’t get the Bird Coins I have paid for back. On Facebook, it only shows 3 of my Friends. I play against my Son every week and it doesn’t show him. I also have a number on Facebook beside the app, I think it is 35. I assume that is how many of my friends are playing. When I click on the “ Play Now” it doesn’t take me anywhere. I’m I playing on a Spoofed site? I wish someone would care enough to help me. I’m getting tired of playing a game that isn’t supported by people that don’t care. I have photos to send to back up my claim, but no place here to insert them. I have reported this on a page that uses Zendesk. Zendesk has never helped me before, I’m hoping this isn’t another Zendesk Page. How do I revert back to older version? I made a horrible mistake and loaded the update and now I cannot even open the game! How do I revert back to an older version? It seems every update the game gets quirkier & worse with more crashes, losing items etc. just make it work! And please consider those of us that cannot upgrade our iOS software due to lack of space!! Well, the December update sucked, could no longer load in my iphone, I was told to wait until January update & it still won't load.. Get your act together! This WAS my favorite game! Now i can't even play on my phone anymore! Fix it!!!!!! How long will ABF be down. It’s day four now. I always loved playing this game. Until recently I have had zero issues with it. I’ve noticed over the past few months the game has been freezing up but usually it’s only for an hour or two at the most. If the programmers have bit off more than they can chew with the additional tournaments offered its time to go back to what worked or take the game away until all issues are resolved. I’m sure I’m not the only one who feels this way. I also didn’t like getting an error message that I have a bad connection. I have a brand new iPad with 120meg. I don’t have issues with any other apps or my router. Well finally got in after uninstalling, disconnect from FB. Had to start from scratch. I was in diamond league 5. Now down to glass level nothing and no good sling shots. I’m afraid to connect to FB in fear if I do I will have to go through 3 levels of practice again before being brought to the tournament I mastered already 5 days ago. All you need to start with a blast! A great selection to take you to the top!